Starting at MA state line, 50% of this ride is directly on the waterfront. Nothing between you and the crashing waves! A classic northeastern coastal run. After the first couple of miles of cottages and the Beach in Hampton, the road twists most of the way to Portsmouth. The main urban areas on this road trip are Salisbury and Portsmouth ... both nice towns with plenty to offer visitors. It's a short road, with areas to stop view the ocean and Isle of Shoals. Seasonal places to eat. Everything you could need or want year round is within 15 mins inland of the road. At the far end is Portsmouth one of the best restaurant towns in New England. Overall, this is a great scenic drive area! Comments: I have always Loved the coastal ride...I suggest you make a day of it and ride into Maine....follow it up to the Bush's compound up in Kennebunk and finish with dinner at Bentleys Saloon in Arundel....so many shops and places to stop on the way! 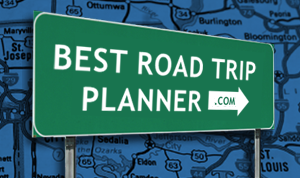 Attraction or Point-of-Interest recommendation: Great drive do it all summer long. One suggestion is when you come to 1B take it you have two state parks there and the views are great. Also when you get to the end go across the bridge into Maine follow 103 to a little place called Chauncey Lobster Place for the best lobster along the coast its a BYOB place you'll love it!